Have you guys checked out Kate Spade Saturday yet? If you haven’t, I urge you to click right over and get a little crazy. Saturday is the new line by Kate Spade focused on fun, peppy designs to brighten your wardrobe or your home. And the prices? So much more affordable than traditional Kate Spade! New styles are added every Saturday (appropriate, no?) so you should sign up for their emails to get alerted when new stuff is arriving. 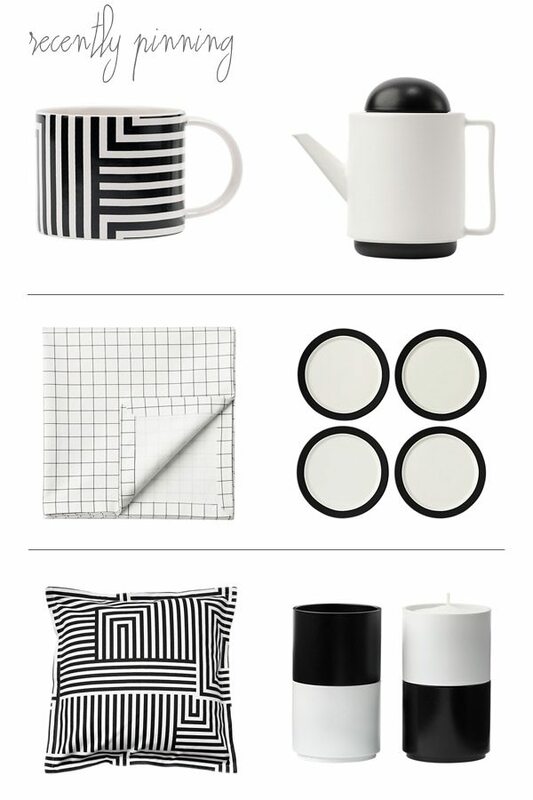 Remember my love affair with all things black, white and graphic? It appears the fine folks at Saturday heard me and decided to fuel my addiction. I want all of these pieces in our new place! For more of my latest obsessions, be sure to follow me over at Pinterest…and if you haven’t already, leave a comment here with a link to your Pinterest account so I can follow you, too!